Skaneateles Lake, the cleanest of the Finger Lakes, has water so pure the city of Syracuse uses it unfiltered. On the northern shore of Skaneateles Lake, the quiet village of Skaneateles (pronounced “skanny-atlas”) sits as it’s citizens and visitors walk through the unique shops and restaurants of a cool summer evening. Sailboats, pleasure and fishing boats come and go creating the feeling of a laid back timelessness. 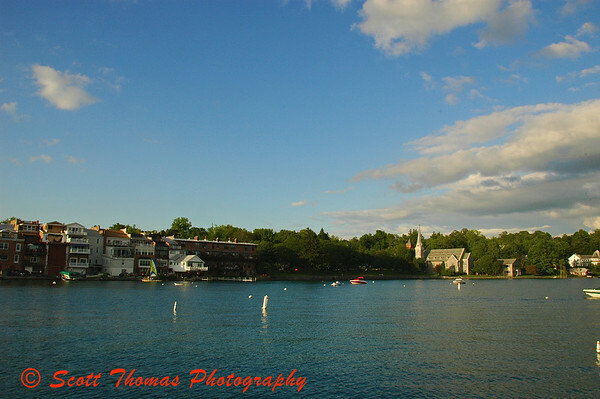 Luxury apartments, parks and a church of Skaneateles along the lake shore. This is a far cry from the last time I showed you Skaneateles: View 50: Scrooged! It was much colder! 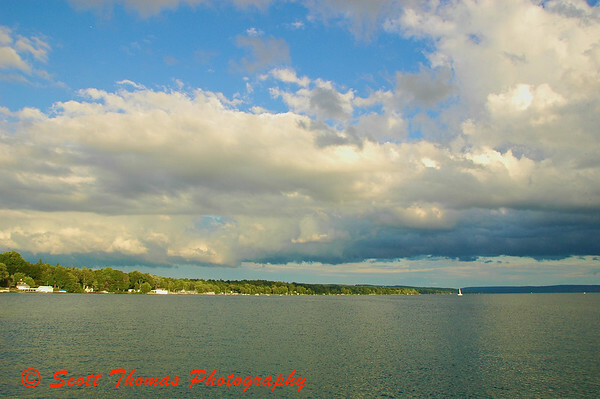 This entry was posted in Travel and tagged blue, lake, new york, Photography, skaneateles, sky, water. Bookmark the permalink.